The legendary album, Mannenberg is where it's happening, was named after the suburb on the Cape Flats where people were protesting the conditions of the hastily and shoddily erected council housing into which they'd been forced to move. Abdullah Ibrahim left the country in self-imposed exile in 1976, but in the hands of Robbie Jansen and Basil Coetzee, Mannenberg became an anthem of the struggle for freedom, solidifying resistance and celebrating freedom and diversity in the 1980s and 1990s. Of the five musicians who recorded the album, only Jansen, Ibrahim and Michaels are still with us. Dollar Brand's first group, the Tuxedo Slickers, made their first recording in 1954. In 1958, leading the Shantytown Sextet, Brand backed the Manhattan Brothers and then formed the Dollar Brand Trio. A year later he formed the Jazz Epistles, which included trombonist Jonas Gwangwa and trumpeter Hugh Masekela. When they split in 1960 to allow Gwangwa and Masekela to travel to London and the US, Dollar Brand opened a music school in District Six. 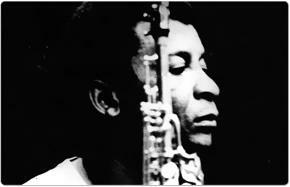 In 1968 he converted to Islam and changed his name to Abdullah Ibrahim. Between 1971 and 1977 Ibrahim made a series of recordings with marabi legend, Kippie Moeketsi, and Basil Coetzee. Three of the albums recorded during these "Sun Sessions", so called because they were produced under Rashid Vally's Sun label, were never released. The album, Mannenberg is where it's happening, was later renamed Cape Town Fringe, but its South African and Japanese release retained the original name. Mannenberg is infused with the mix of music styles to which the young Adolph Brand (as he was baptised) was exposed growing up in Kensington, a coloured area on the northern outskirts of Cape Town, adjacent to the African location of Windermere. His mother played the organ in the church, while across the road the sounds of marabi music drifted through the air. His mother played the organ in the church, while across the road the sounds of marabi music drifted through the air. "You can imagine what he heard as a kid. The circumstances that produced an Abdullah Ibrahim no longer exist, so there'll never be another Abdullah Ibrahim," says District Six musician, historian and librarian, Vincent Kolbe. Kolbe describes how the mix of people coming to a port city like Cape Town - Irish, German, Jewish merchants, Indian traders and Africans - as well the natural environment have shaped the sounds of Cape jazz. "I like to think of the topography of the city... We're on the mountain slopes... you had a way of walking uphill and a way of walking downhill; you had a way of walking into the wind and a way of walking with the wind at your back... It's very subtle, but it's all in the feet and the body. He [Abdullah] has interesting theories about the southeaster blowing around the slopes of the mountain, its different contours, whether it was coming from the bay, whether it's a southeaster or a northwester. He would hear sounds, he could hear notes; that accounts for the harmony."